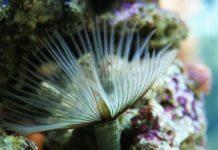 While the term “refugium” is commonly used by aquarists, there is a great deal of disagreement about what one is and what it should do. Here are the back to basics facts. Ask five aquarists what a refugium is and you will get five different answers. 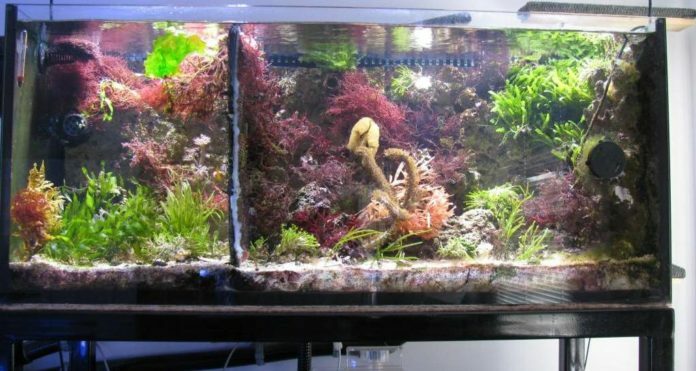 Most hobbyists can agree that a refugium is a separate chamber connected to the main display tank for the purpose of 1) growing various organisms that would not thrive (or even survive) in the display tank and 2) provide some level of biological filtration and nutrient exportation for the system as a whole. But that’s where the agreement ceases. 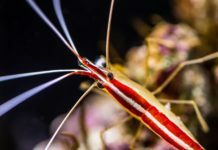 The purpose of this article is not to comprehensively cover the debate surrounding refugia; rather it is an attempt to outline the basic components and rationale for connecting a refugium to your saltwater system. Start planning your refugium by thinking about size. 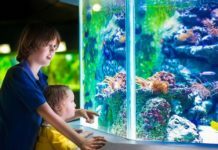 In the same way that it is often advantageous to install the largest display tank you can afford (and fit comfortably into your home), it is recommended you install the largest refugium possible. Remember, more system volume means more overall stability in terms of water quality, and while it is quite possible to combine a refugium and a sump, this article assumes that you will be adding a refugium in addition to a sump to further increase the system’s total volume. Although a 30-gallon tub can make an excellent refugium in an off-display fishroom, not everyone has the space for this. A 10-gallon refugium located in the tank cabinet under the display tank can also be quite effective. 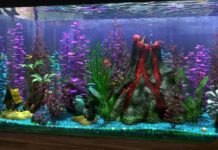 Alternatively, more and more aquarists are starting to use the refugium as a second display tank instead of having it solely a utilitarian device. Ideally, you will be able to isolate your refugium from the system. This can be accomplished by splitting the overflow from the display tank between the refugium and the sump. Placing a ball valve on the refugium side of the overflow not only allows you to isolate the refugium, but it also gives you control over the refugium’s current velocity. Many aquarists choose to have the refugium then drain into the sump’s last chamber so some of the pods which will thrive in the refugium make their way into the display tank without being skimmed or filtered. 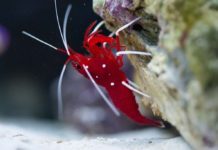 In the event that you are using a large refugium that cannot be placed above the sump, you will need to utilize a pump to move the water from the refugium to the sump. 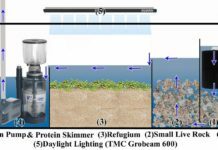 At the basest level, growing marine plants like macroalgae in the refugium is a good idea. Cheatomorpha and Caulerpa are two common species of macroalgae grown in refugia. These fast-growing plants, when pruned aggressively, can effectively export nutrients from the system. An added benefit to growing macroalgae in a refugium (especially C. linum and C. crassa) is that it provides a complex matrix for pods to grow. There are certain risks that go along with growing Caulerpa in your system (e.g. 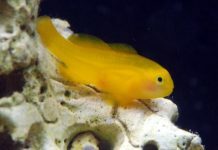 allowing it to spread to the display tank or having it suddenly “go sexual”), and, as always, you should do your own research before introducing any species to your system. 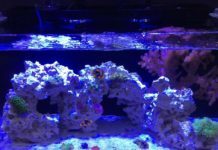 Add appropriate lighting (which can be run on the same schedule as your display tank, on an alternate cycle or 24/7), and you are good to go. Chances are that once you start down the refugium path, you will be compelled to tinker and experiment. Whether that experimentation takes the form of growing other marine plants and beneficial invertebrates in a display aquarium, or building an off-display, no-frills nutrient exporting machine, you will get to know your system and its needs better and have fun in the process. 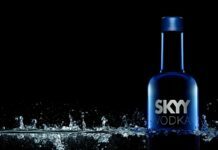 Of course the increased health and stability of your system will be a welcome byproduct of your efforts.